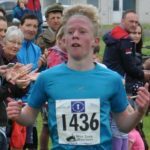 A Campbeltown schoolboy ran the race of his life to take national honours in Aberdeen. 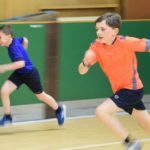 In the most exciting race of the day, Gregor Campbell threw himself across the line in a final effort to win Sunday’s Scottish Under-15 1500m boy’s race by 5/100s of a second after a nail-biting run. The Blue Riband event came down to the last 100m after Campbell chased down his rival Ross O’Brien. Campbell had O’Brien ‘on his shoulder’, as they pulled away from the rest of the field in the home straight. Former Scottish international, Graham Crawford, who helps Campbell’s father Donald Campbell coach his children, said: ‘The 3.30pm 1500m final proved the most exciting race of the afternoon. ‘The pair broke clear on the last bend and it was head to head all the way to the line. ‘They both dipped and Campbell went crashing to the ground to take the title in 4:22:90 and O’Brien recorded 4:22:95. Donald, who filmed the final 100m on Campbell’s phone, said: ‘I really appreciate Graham’s involvement. 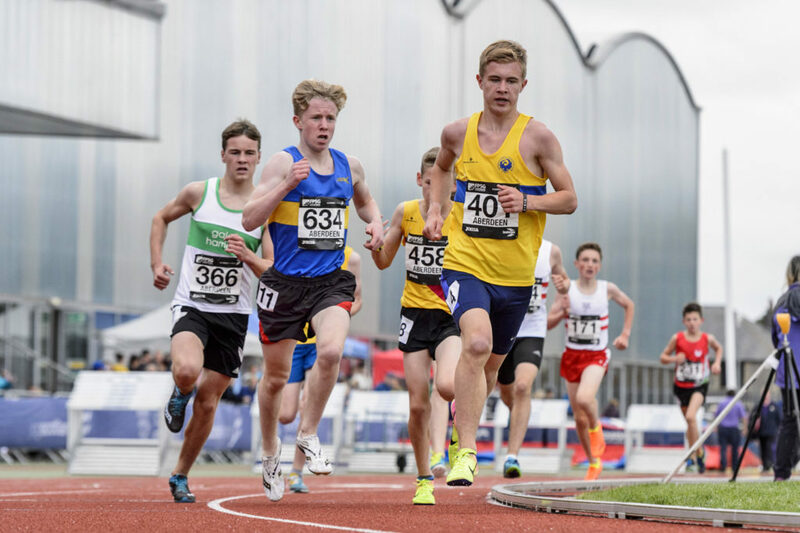 The win caps a great season for the Glenbarr schoolboy, who trains with Shettleston and won the West District U15 1500m title and Scottish schoolboy’s title in June, when he beat O’Brien by four seconds. 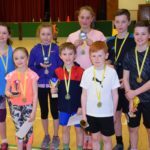 Two of Campbell’s siblings also achieved personal bests during the weekend. In the girls U13 800m Violet Campbell finished in 2:47.92 and in the boys 200m Ruairidh Campbell ran 28.50 in the final.